Ward 48 war room (OSS) committee members recently held their first programme at the Mahatma Gandhi Hospital Gardens where they conducted a clean-up operation in the area. The committee worked in partnership with the Department of Parks, EPWP and CDW. According to Nozimikahle Ngcobo, secretary of the war room in Ward 48, the war room is a mutual government structure that is apolitical and challenges the social ills of the community. She said members aim to bring service delivery into their community by their interactions with respective government departments and other stakeholders. “This programme was successful in assisting the community to service with urban agriculture, sustainable farming. A clean and healthy environment has the potential to great growth of vegetation which can sustain a meal for the day for the poorest of the poor,” Ngcobo said. She said the clean-up was conducted in the absence of Ward Councillor Bradley Singh who is supposed to be the champion of the war room. Ngcobo said Singh is never visible in the ward to acknowledge the social ills and the sufferings of the community. 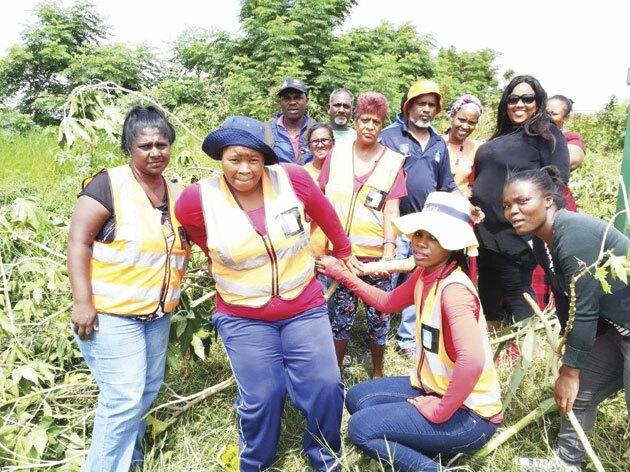 “It is indeed thrilling to see the community pitching up and for the Department of Parks to have a waste collection programme,” she added. Responding to Ngcobo’s claims, Councillor, Bradley Singh said, “It is shocking that a member of the war room made these ridiculous allegations, the convenor of the war room met with me to discuss the programme and informed me of the clean up which was to take place the next day. Unfortunately, I had other urgent commitments to attend to while the clean up was in progress.